No-one believes Tom when he says he has seen a lion - padding around the orchard with a string of sausages in its mouth! No-one, that is, except for Clare, the cleverest girl in the class. Together, she and Tom plan to prove his story is true - by catching the lion! 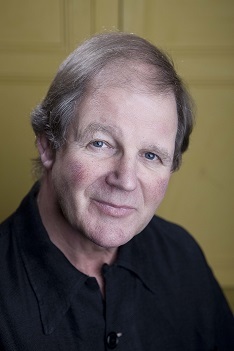 Michael Morpurgo is the author of many books for children, five of which have been made into films. He also writes his own screenplays and libretti for opera. Born in St Albans, Hertfordshire, in 1943, he was evacuated to Cumberland during the last years of the war, then returned to London, moving later to Essex. After a brief and unsuccessful spell in the army, he took up teaching and started to write. He left teaching after ten years in order to set up 'Farms for City Children' with his wife. They have three farms in Devon, Wales and Gloucestershire, open to inner city school children who come to stay and work with the animals. In 1999 this work was publicly recognised when he and his wife were awarded an MBE for services to youth. He is also a father and grandfather, so children have always played a large part in his life. Every year he and his family spend time in the Scilly Isles, the setting for three of his books.